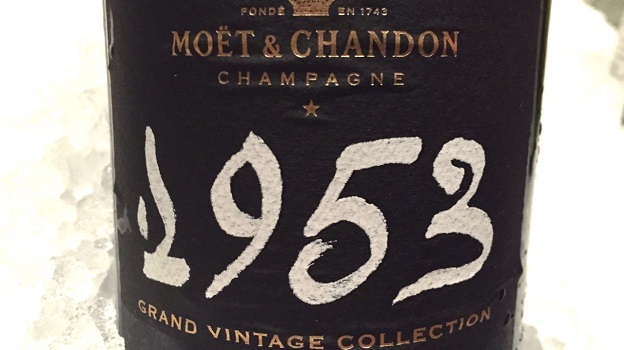 A total knock-out, Moët & Chandon’s 1953 Grand Vintage Collection possesses remarkable vinous intensity, breadth and richness, especially for a wine of its age. Scents of torrefaction, dried flowers and hazelnuts make a strong first impression, but it is the way wine unfolds in the glass that proves to be utterly mesmerizing. Seemingly endless layers of of nuance continue to appear as the 1953 shows off myriad shades of expression. The 1953 was fermented in oak casks and aged on cork, as was the custom at the time. This bottle was disgorged in March 2013 for Sotheby's auction in London. The blend is 69% Pinot Noir and 31% Chardonnay. Readers who bought the 1953 are in for a treat, as it is truly spectacular. A Champagne of pure, decadent pleasure, the 1953 will drink well for another decade if well stored. 95/Drinking window: 2015-2025.